Pretty much anyone with even the sketchiest understanding of economics knows that a competitive market is the mother of all driving forces for efficiency. In fact, Kenneth Arrow and Gérard Debreu have a mathematical proof called the Arrow–Debreu model which shows that if the conditions are propitious in terms of a competitive free market there will be a general equilibrium between total supplies and total demands reflected in a set of prices. Obviously there are all sorts of reasons why the reality isn't the case, and that's largely due to all the ways in which politicians interfere with the natural mechanisms of prices (taxes and price controls are two prime examples). Like others at the ASI, I am not unfriendly to some form of government - but one of the primary rules of thumb is that in most cases an interference in the market that upsets the natural price mechanisms created by supply and demand is an inefficient interference. For a more generalised indicator about when it is likely to be bad to interfere in the market in terms of negatively affecting people's behaviour, consider the game of snooker as an analogy. 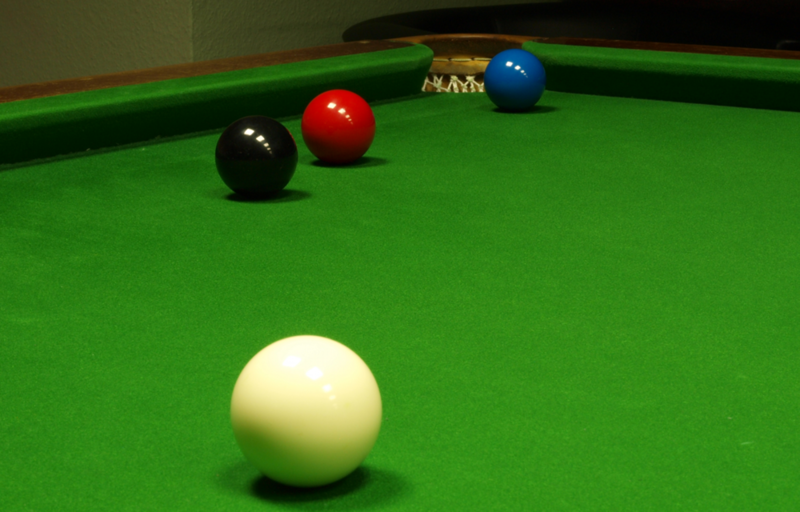 I used to play in two types of snooker league: the open league and the handicap league. In the open league both players would start the game on zero, and the best players had the best chance of winning. However, in the handicap league, based on a points system conditioned by past results, better players would give inferior players a head start in an attempt to narrow the gulf in ability and make the frames more evenly contested. The handicap league works because even though the points are differentiated at the start of play, both players are still incentivised to try their hardest and play to the best of their ability. A handicap snooker league in which poorer players were given more of a chance by the better players being compelled to deliberately play below par would be no fun for either player. The snooker handicap league can provide a pretty good illustration for when governmental interference in the market is good and when it is not. Policies that cause the participants in the market (snooker players) to waste opportunities (play below par) are likely to be bad policies, whereas any policies that cause as few wasted opportunities as possible (in a way that's similar to handicap scoring) are less likely to be bad policies (note: pretty much all taxes and price controls cause some loss of efficiency, so that's why I said 'cause as few wasted opportunities as possible' rather than 'cause no wasted opportunities'). To translate that in market terms, taxes or price controls that change behaviour in a way that diminish efficiency are undesirable. A price control on renting apartments is going to negatively affect property development and create a shortage (which ironically makes renting apartments more expensive). This is the snooker equivalent of making players play below their best ability. On the other hand, taxes like inheritance tax or savings tax or consumption taxes on goods to which consumers are relatively price insensitive, while not without some behaviour-changing costs, are more like the snooker equivalent of handicapping - they don't greatly diminishing anybody's drive to perform well. And let’s not forget, some taxes, such as taxes on negative externalities like pollution and congestion are taxes that can change our behaviour for the better. The upshot is, whenever you consider a tax, a price control, a subsidy, or any other kind of government involvement in the market, it is good to consider whether it is a solution akin to adjusting the starting scores in a handicap snooker match, or whether it is akin to asking some snooker players to perform below the best of their ability. The closer that government involvement is to the latter, and the farther away it is to the former, the less good for society it probably is. But Jeremy Corbyn said experts thought it amounted to an effective rate of about 3%, in contrast to rates of corporation tax of above 20% over the last decade. The Labour leader pointed out that most people did not have the luxury of personal meetings to discuss their tax affairs. “Millions of people are this week filling in their tax returns to get them in by 31 January,” he said. “They have to send the form back. They do not get the option of 25 meetings with 17 ministers to decide what their rate of tax is. About lobbying: well, what does anyone expect will happen? The more arbitrary and political the treatment of a company is the more lobbying will be done to influence the politics. But the thing which is exactly wrong is this idea that Google is exploiting some set of rules available only to large and or multinational companies. That is precisely wrong: completely the opposite of reality. What it is actually doing is saying that it sells its advertising into the UK from Ireland. The tax treatment of those advertising sales is thus up to the Irish taxman, not the UK. Maybe it shouldn't be this way, maybe it should, but that is the way that it is. And under the usual treaties (OECD standard ones, and also current EU law) that really is the way it is. Because international tax law accepts that we would like to have small companies taking part in international trade and also that it's possible for the demands of the tax authorities to be too high to allow them to do so. A UK company which makes the occasional sale in Germany say: or India. Do we think that they should then file a German, or Indian, tax return? Try to pull out the profit that was made on perhaps 0.5% of their turnover just for that one tax authority? Prepare accounts according to the standards of every country they ever ship a package to? No, obviously, we do not insist upon that. It's as plain as the idiocy on a tax campaigners' face that we're not going to insist upon that: not if we're to allow small companies to take part in international trade. So, how do we organise it? We have a definition of when a company is "really" in a particular taxing jurisdiction. Essentially, when there is a "permanent establishment". No, don't worry how that is defined: just accept that there's going to be some cut off point. You're a big company with a big presence, cough up locally. You're a flea bite on the economy? This economy is trivial to you as a company? Well, why not just account for profits and pay taxes at home then? Note again: we do not insist that the current rules are right. Only that there is always going to be some approximation to this system in any international taxation system. We simply are not going to insist upon a German tax return for the two man UK company that ships a model train steam boiler to one customer in Germany. And thus we must have a distinction. What is it that Google is doing? They are claiming that their Irish Google, the one that sells all the advertising, is in fact an Irish company with no such permanent establishment in the UK. Is this thus special rules for multinationals, for large companies? No, obviously it isn't. This is a tax simplification set up for small companies. And Google is claiming it by claiming to be a small company. This is a tax simplification available to absolutely every Irish company that sells into the UK. It's one that applies to every French one selling into the UK, to German ones selling into Romania and to all UK companies selling everywhere. As long as you don't have a permanent establishment where you are selling then you pay your tax at home. Whether it should be this way is another matter. But we really do think it's important to point out that Google is not exploiting some loophole only available to large companies. It's actually using one that was designed for small companies and applies to all small companies. And it's also one that just about every company that does any international trade at all uses at some point or another. Even the largest global exporter does not have a permanent establishment in every tax jurisdiction. Finally, the tax system just wouldn't work at all, not and allow small companies to conduct international trade, if something like this were not in place. Exploitation? Loopholes? Abuse? Unfair? Could be any of those things according to your own opinion. But let's get it right about which loophole is being exploited to produce possibly unfair abuse. Unlike, you know, all the tax justice campaigners. This is a small company exemption, not a large company one. 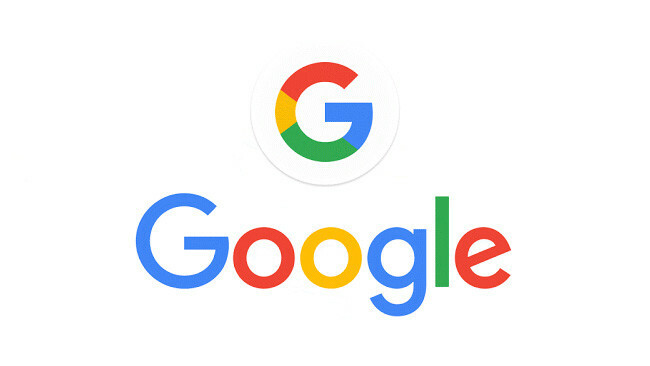 Google is to pay the UK £130m in back taxes. This has been hailed as a great victory against international corporations, which make profits in the UK but 'do not pay their fair share' of taxes'. Many others, like Amazon and Facebook, have also been cited as delinquents. A great victory for the UK Treasury? A boon for UK taxpayers? Hardly: by my calculations, £130m will keep the UK government going for just 91 minutes. If governments spent (and overspent) a lot less, individuals and firms might be more willing to pay tax to fund them. The fact is that economic reality has changed (as it necessarily does) and companies are no longer as rooted to the land, in their factories and plant, as they were. Many, particularly in IT and services, can locate just about anywhere on the planet that they choose. And of course a number of enterprising countries are delighted to host them. Moreover, with increasing volumes of trade done internationally over the internet, supplies sourced from many different countries, and semi-manufactures created in yet others, it is by no means clear where such companies' profits are actually made. A government might claim it is theirs, but they will be competing with others who think differently. If we are going to tax international corporations, we need to find a better way of doing it. In any case, the tax that is supposedly paid by corporations is in fact paid by people. Studies show that three-fifths of the impact of corporation tax falls on the workers, reducing their wages. Of the remainder, some falls on shareholders by way of reduced dividends, making it harder for enterprising firms to attract new capital and create more jobs. Some is borne by customers in the form of higher prices. Remember also the enormous benefits that firms such as Google, Facebook and Amazon bring to ordinary people. They have become successful international companies precisely because they offer people goods and services that they pay for quite willingly. In other words, they add value to our lives. Indeed, these companies add a lot of value to our lives. It would be well worth having them operating in one's country even if they paid the government no tax at all. Worth it solely for the benefit they bring to the public. My teenage neighbour knows that good GCSE grades are better than bad ones. She has an idea that will help all students at exam time. Introduce a minimum grade level of C, so that no student, however bad, can be sullied with D, E and F grades as they enter the job market. Only joking. My teenage neighbour is not that silly. Apparently though my local council hasn’t got this point – having just advertised for a job vacancy in the department that subsidises small businesses. Unfortunately, the idea that it’s a good thing to subsidise small businesses extends far further than my local council – it is a nationwide misapprehension that needs correcting. Most teenagers could work out that misleading students, parents, exam boards and prospective employers about pupils' scholastic abilities won't help anyone in the long run, because artificially altering GCSE grades to Cs and above gives a distorted picture of academic ability and employability. Why can't politicians on the left work out similar logic when the case is small business subsidies? The answer, I suspect, is simple: competing parties are not primarily interested in logic, they are interested in securing votes - in this case, the votes of people that think too lazily to realise that small business subsidies are no better than GCSE grade subsidies - as both distort the market in which they operate. The problem is, small business subsidies amount to the government taking taxpayers’ money and giving it to businesses that may or may not be viable enough to survive in a competitive market dictated by supply and demand. If taxpayers wouldn't voluntarily spend their money in these businesses then they are being artificially propped up against the majority of people's will. If taxpayers would voluntarily spend their money in these businesses then no subsidies are needed. The success of a business is not measured by the state's ability to prop it up, it is measured by whether it generates enough profit in a supply and demand market. If demand for Jean's Knitwear falls, then prices may fall to increase demand. If Jean’s Knitwear can no longer generate a profit to live, the signals are there that her business is inefficient or that her products are low in demand. Prices in a free market are the signals that make what is being supplied adjust to the demand of those supplies. Alas, prices no longer provide this signal when politicians interfere with subsidies or controls - they stop prices exhibiting changes in the supply or demand for goods and services. It's easy to see why small business subsidies are popular with voters. They make any party that endorses them seem caring, and mindful of struggling companies, as well as giving the impression of being supporters of the underdog against the often maligned multi-national corporations. In fact, I'd wager that most of the public like the sound of small business subsidies - so public support for them is a bit like pushing on an open electoral door. But like most things that sound too good to be true, the medicine is poison, because nothing comes for free. The visible benefits are obvious - the beneficiaries are small businesses. But the losers are taxpayers who are having their money spent in places in which they wouldn't do so voluntarily. But more than that, the other losers - the invisible losers - are those missing out on opportunities to enter the market. Thanks to subsidies, Jean's Knitwear may now be staying afloat - but as well as taxpayer costs, the cost of such subsidies is the forgone opportunities for others goods and services suppliers trying to enter the market or stay afloat on their own merit. It's a shame when small businesses go under. But you cannot fix the problem by distorting price signals and forcing taxpayers to support them as if they were successful businesses. Only an fool would do that; well...that is, a fool, or someone who saw a popularity-winning policy and flaunted it to secure votes. Public sector organisations need to come clean on how they spend our taxes. Progress has been made but too many still obfuscate. An example of good practice is the Scottish Fire Service. You can see their spending here. While the press like shock-horror reporting on absolute amounts, this is often pointless; much more useful is proper analysis that dissects trends and examines variances between public entities, particularly in service overheads. Enabling cross comparisons between entities is vital for public policy analytics. Bureaucrats always find it easy to defend their missions by explaining them as political aspirations – safer travel, better social support, a cleaner environment and so on. While it is easy for them to find reasons for continuing and expanding their goals, it is much more difficult to generate proper objective analysis of the prices to taxpayers of these supposedly beneficial activities. For example, within the Fire Service figures above are travel expenses of board members. We find highly paid officials repeatedly traveling from Edinburgh to London at fares much higher than ordinary economy. There are also hotel stays to catch early flights. These are what I call presumptive activities: tax-funded officials adopting expensive spending habits in their daily operations; presuming that this is the way top people operate in business and that they will never be called on to defend them. The reality, especially in Scotland where 95% of businesses are small, is that private business would never allow this gravy-plane; they know this money would be far better spent elsewhere. Public officials choose to spend money on an entirely different basis than private individuals. They gain nothing from self-restriction; and too often they prefer feeling important over actually being productive. Transparent cost reporting therefore opens up an enormous potential for cost reduction in the public sector. To achieve that potential requires a key institutional change: all public sector functionaries should be made to work within what the private sector would call profit and loss accounting centres. Overheads might be corporately shared but responsibility for any share should be enumerated to each specific function. And while “profits” may in fact be net costs, a calculation can always be made on cash gains or losses in operations that can then be adopted as a control. Combined with transparent cost centre reporting, the huge gain would be to allow taxpayers to see that function “A” in entity “X” was a known percentage more or less efficient than entity “Y and “Z”. Properly reporting that, and tying it via performance agreements to top official salaries, would weed out presumptive activities, including the easy resort to expensive travel, which are in fact poor productive choices for our communities. Eben Wilson is the Director of Taxpayer Scotland, and a Fellow of the Adam Smith Institute. We're consistently told that the current level of economic inequality is unsupportable and that therefore something must be done. You know, that death of capitalism thing and why don't we just all sing Kumbaya together? However, it is rather necessary to work out why inequality has been increasing and even what sort of inequality has been increasing. 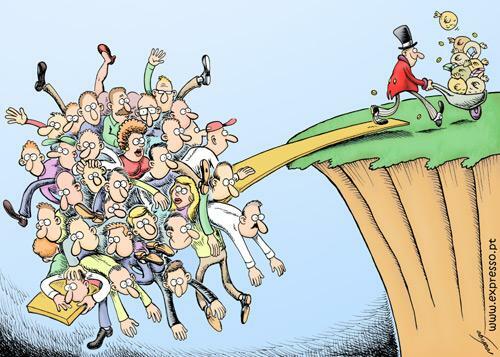 As it happens global inequality has been falling: the poor are getting richer faster than everyone else so the gap between the top and the bottom is closing. So, that's good from any angle: absolute poverty is being beaten, the sort of thing we worry about, and inequality is reducing, the sort of thing others worry about and we don't. However, inequality within rich countries has been increasing: as before, not something we worry about very much if at all although obviously others do. But why? And the real underlying reason is that in he past few decades we've added a few billion people to the global labour market. That's really what globalisation has done: and it's why poverty and overall inequality are receding. but that has meant something of a change in relation to capital and labour. Roughly the same amount of capital (and this is true of human of financial capital, true of highly skilled labour or pure capital) is being added to vastly more labour. Relative scarcity thus tells us that the returns to capital (again, both human and financial) will rise as against the returns to labour. Given that capital is very much more concentrated in ownership than labour thus inequality rises. And that's usually the point at which the analysis stops. Something must be done and usually it's tax capital much more so as to give to labour. But the actual point we want an answer to is, well is this going to continue? Based on UN population estimates, the number of people in the developed world aged between 16 and 64 peaked in 2010, while the number of people aged 60 and over will exceed the number of children for the first time in 2047, and more than double from 841m in 2013 to two billion by 2050. In the UK, the average age is expected to rise from 40 years in 2014 to 42.9 by mid-2039, when one in 12 people is projected to be aged 80 or over, according to the Office for National Statistics (ONS). This is not just a rich world phenomenon. It's almost certainly true that we've reached, or are just about to, Peak Labour. From here on in demographic changes mean that labour is going to become more scarce relative to capital, not as in recent decades in glut. Thus we would expect the relative prices to snap back and thus that globalisation induced increase in inequality to go away again. Meaning, of course, that we don't need to tax the rich into penury at all. 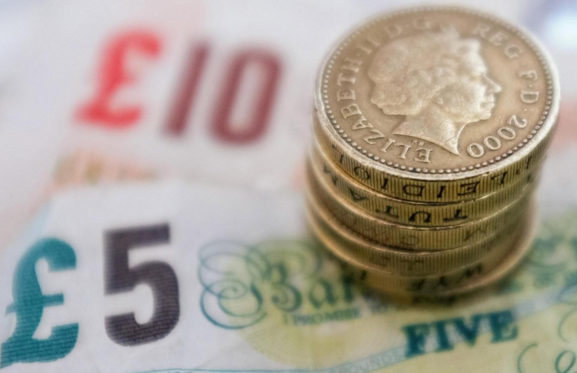 Business rates hurt landlords more than retailers, a new report has claimed, and reducing the burden of the levy could generate 4,000 new jobs and up to £1.75bn-worth of development in the sector over the next five years. Landlords are unable to invest in new real estate as a result, the study claimed, and increases in business rates have led to the country missing out on £670m of new development, and 6,000 fewer jobs over the past three years. The report, launched today by the British Property Federation, (BPF), British Council of Shopping Centres (BCSC) and British Council for Offices (BCO), written by Regeneris Consulting, has revealed that over a period of two to three years, approximately three quarters of any increase in business rates is transferred to landlords as occupiers push for lower rents. In other words, business rates limit the rents that landlord are able to charge to their occupiers. This reduces the potential level of new real estate investments that they can make and reduces the amount of new commercial property development. However, not all of the cost of rising rates is passed on to landlords, with approximately 25% being borne by occupiers. They're entirely right, this is just terrible news. And it's such terrible news that they're also correct in their insistence that we must change the system. We don't want landlords to carry 75% of the burden of business rates at all, we insist that they should carry 100% of it. We also don't want to tax the value of development at all, just the value of the land which is affected by the other developments around it. That is, business rates are a crude proxy for a land value tax and as a crude proxy they're not quite good enough. What we want instead is a proper land value tax, one that taxes the undeveloped value of that specific plot of land, that value being determined by all the other development that has taken place around it. What is actually developed upon that plot should not be taxed in the slightest. In that manner the retailer, the occupier, will not be bearing any of the cost of the rates, the developer will not be yet the landlord of the land itself will be carrying the full burden. Which is how it should be. So, we must thank the landlords for bringing this appalling state of affairs to our attention. They're only carrying 75% of the burden when it should be 100%. Change the system now, revolution! A senior member of the Government's fiscal watchdog has described George Osborne's raid on big businesses to fund apprenticeships as "a pay cut" for ordinary workers. 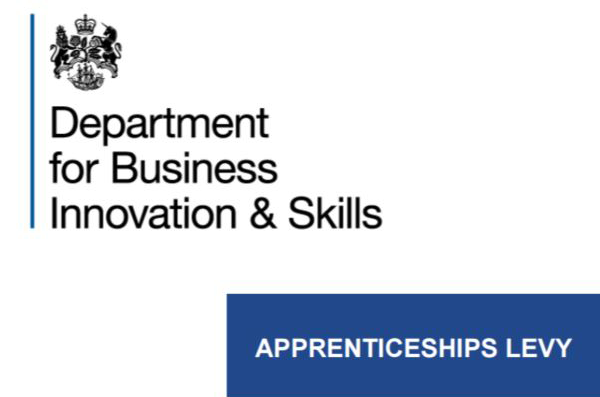 Stephen Nickell, a member of the Office for Budget Responsibility's (OBR's) leadership team, said the Chancellor's move to raise £11.6bn over the next five years from a new apprenticeship levy served as a payroll tax that would be reflected in lower wages. "[The apprenticeship levy] is a form of payroll tax [and] in the end the incidence of a payroll tax tends to fall on workers. So in some sense it ends up being a pay cut and it doesn’t have much impact on profits,"
And a cut in wages perhaps isn't quite the thing that we wish to achieve. Yes, of course, tax revenue needs to come from somewhere but payroll taxes are a really bad place for them to come from. Half or more of the country believes that as the company hands over the cheque then it's the company paying the tax. And as more than half the country likes the idea of someone else paying tax rather than they themselves they think this is just great. But the incidence of a tax does not depend upon who pays it. And payroll taxes almost entirely and always come out of the paycheques of the workers. Thus they're good politics, who suffers being disguised, and bad economics. Because we generally don't think that the workers' wages should be reduced. Tax things in inelastic supply (land), inelastic demand (tobacco, petrol) and then consumption and, if absolutely necessary, incomes. But silliness like this Apprenticeship Levy really should be avoided.